REPLAY VIDEO: You can join in as former U.S. Supreme Court Justice Sandra Day O’Connor speaks to students at Texas A&M University-San Antonio about iCivics.org, a web-based education project designed to teach civics and inspire students to actively participate in our democracy. 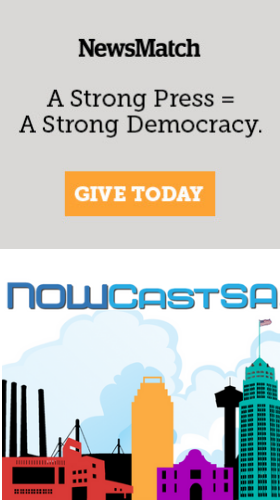 NOWCastSA will webcast the event live from 10 a.m. to 11 a.m. and you can watch video on this page or come back later and replay the video here. iCivics is the vision of Justice O'Connor, and grew from her concern that students are not getting the information and tools they need for civic participation, and that civics teachers need better materials and support. The learning materials in iCivics are free and accessible online. The program uses games in which students play civic leaders and citizens confronting issues relevant to their everyday lives. Through play, students learn about constitutional law, the branches of government, immigration and more. iCivics also offers free lesson plans and evaluation tools for teachers, with materials that are discovery-oriented and problem-based to engage and motivate students. For more information on iCivics, see their web site at www.iCivics.org. You may also watch video of Justice O'Connor's Oct. 24 presentation to San Antonio officials and superintendents here. I would like to thank NowCast SA for making this event available to the public. Now San Antonio can view this great program that Supreme Justice O'Connor has worked on so hard to bring to our schools at no cost to the schools or the user.